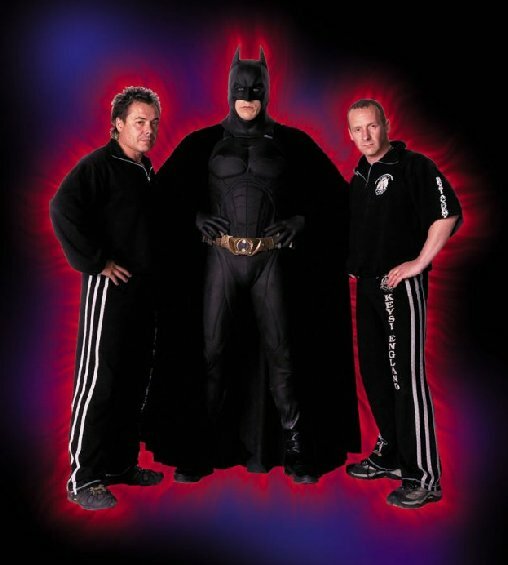 Christian Bale's Trainers Discuss Unique KFM Fight Method Used In Dark Knight. KFM, or Keysi Fighting Method, has been used by many of Hollywood's top actors. Its creators, Andy and Justo, developed the fighting style more than 20 years ago. [ Q.] How long have you been studying martial arts? What styles did you begin with? [Andy & Justo] We have studied martial arts on and off for most of our lives really, but martial arts did not influence the true development of KFM. The Internet forums are full of misinformed people who think KFM is a mix of many things with a new name. Quite the contrary, KFM is totally unique as it is the consequence of its own journey and personal experiences and not those of anybody else. It is not a descendent of any long lost mystical or magical martial art, nor is it a re-invention of another mans work. It is the life of Justo Dieguez and myself. [ Q.] How long have you been working together on KFM? [Andy & Justo] We have been working together on KFM for a long time, more or less 20 years. We have been working constantly on the KFM instructor development program. This clearly enables us to teach and transmit all the radical information that KFM posses to the rest of the world, plus KFM has now joined forces with the legendary American martial artist, Chief Master Bill Clark of the ATA in order to develop an international information distribution network so we can give better access to all those people around the world who wish to train KFM but don't have access to a KFM school in their town. 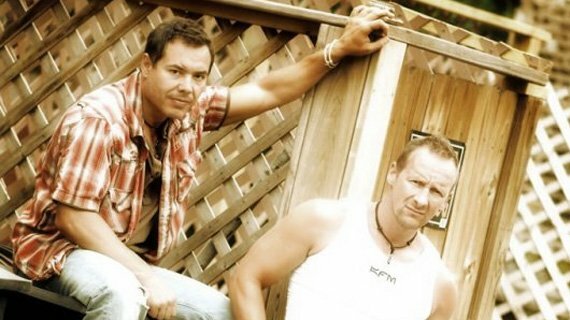 Justo and Andy: "We have been working together on KFM for about 20 years." [ Q.] How did we come up with this new style? 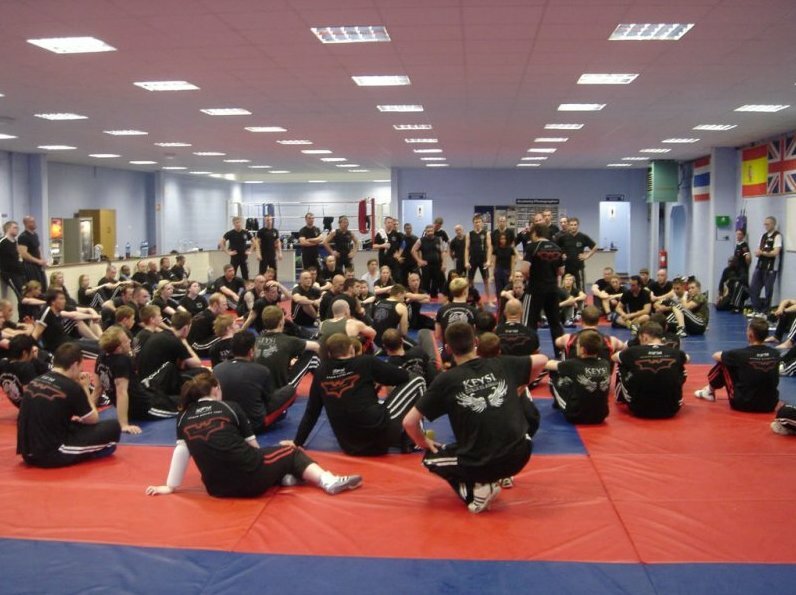 And why does KFM differ from other martial arts? [Andy & Justo] That's a really good question actually and that gives us the chance to tell you all about true blood origins of the unique and Radical KFM. KFM is not a sport martial art. KFM was not born or re-invented in the dojo. A dojo is a Japanese term which literally means "place of the Way." Initially, dojo were adjunct to temples. The term can refer to a formal training place for any of the Japanese do arts but typically it is considered the formal gathering place for students of a martial arts style to conduct training, examinations and other related encounters. KFM is not a collection of different martial arts all mixed together. KFM is not from China, Japan or the far East. KFM is not a descendant of some mythical magical martial art. It was born on the streets of Spain in the late 1950's with the birth of its founder Justo Dieguez. KFM has grown, developed and matured on the streets across the last four decades and is a direct consequence of real events, experiences and subsequent years of investigation. KFM is a pure blood born street fighting method that was conceived on the street and born in the fight. KFM is a street fighting method that was conceived on the street and born in the fight. [ Q.] So exactly how or where did KFM start? [Andy & Justo] We'd like to tell you a little more about the true origins of the Pensador, or thinkingman as its known in English. The Pensador (thinkingman) as a subject has provoked many discussions and debates amongst the martial art community. But what is the Pensador and how did this particular expression come into existence? It's not a new technique or invention, nor is it just a thing to do because we think it looks cool or strangely different. No, it's a pure consequence of real life experience, study and investigation, we will explain a little more. It all started when Justo was a child, 4-years old to be precise. As a consequence of his gypsy upbringing, fighting with the other kids was a daily occurrence, but what separated Justo from the other kids was his amazing genetic predatory instinct. Watch The Video - 3:56. Learn all about KFM in this promotional video from the type of fighting, to its creators and more. This frustrated him immensely, and this frustration fueled an intense desire in Justo to investigate and develop a method of fighting that would enable him to survive the brutal lifestyle he was born into. He told me that one day he was watching a street gang "beating up" on a young boy, and while observing the boy on the ground curled up in the fetal position with his hands around his head, Justo started to see clearly all the things that the young boy could and should have been doing. Justo then went on to explain how he would then go home and sit and think about what he had just seen, walking through the whole scenario in his mind and then try to find the answer to how he would have dealt with that particular situation. He told me how he would practice fighting from the fetal position under the kitchen table at home, and how the legs of the table represented the four boys attacking him. Fetal position is a medical term used to describe the positioning of the body of a prenatal fetus as it develops. In this position, the back is curved, the head is bowed, and the limbs are bent and drawn up to the torso. Justo would then go back out onto the streets and practice what he thought would work for him, finding himself on the ground and in the fetal position he then started to work all he had been training on the legs of the kitchen. He actually started to fight his way back to his feet while at the same time create real damage. So as you can clearly see KFM is not a classical or typical martial art and you obviously need to understand exactly how KFM came into existence in order to understand why KFM is unique. So, in brief this is the true blood origin of the KFM and the Pensador (thinkingman), is the fetal position. This is how the human develops in the womb, and the fetal position is where KFM was conceived. It was to be the fight that gave birth to the nucleus of the KFM, the pensador. KFM is not a classical or typical martial art. Hopefully now it may be a little clearer that this expression, the pensador, is not a new technique or invention. It's a pure blood driven instinctive reaction within the human. What KFM has done is evolve this expression into a radical and ballistic form of attack and destroy. [ Q.] How effective do you think KFM would be in competitive fighting, like Pride or the UFC? [Andy & Justo] Well, funny you should ask that. KFM as we have clearly stated is not a martial art, but we have been studying the UFC for some time and have created a sport fight program specifically for this style of combat. We have just returned from Orlando, Florida where we spent some quality time with Carlos Machado, of the famous Machado brothers. He was extremely impressed with the ground fighting part of the KFM sport-fighting program that he is now looking to study with KFM and potentially develop some young fighters and put them in the cage. We have been studying UFC for some time. Justo and I would just like to say that we have known Carlos for many years and he is an extremely humble person, we are also looking forward to developing some new business potentials with Carlos! [ Q.] How did you make the move from the gym to Hollywood? [Andy & Justo] As with many things in life it all came about with a simple phone call. We were asked by a good friend of ours, Buster Reeves, if we would like to audition for a Hollywood movie. Buster is the stunt guy who doubled for Christian Bale in the last two Batman films. Obviously we said yes. On the day of the audition hundreds of people had turned up, some extremely talented people. 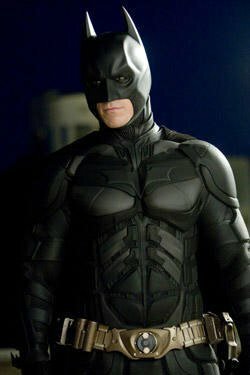 Christian Bale in The Dark Knight. We got called out to show some work, but it was not really the kind of thing we did. So, I (Andy) asked if it would be possible to show some of our work from the KFM. There was a deadly silence. Watch The Video - 2:00. 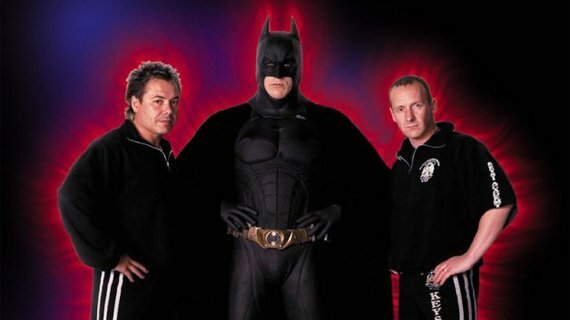 Learn how KFM was used for the film Batman Begins. "Oh dear", I thought, "that's that then." To our amazement the stunt coordinator said, "OK, go on then." That was all we needed. Two hours later, we where told that KFM was exactly what they had been looking for and the rest is history. [ Q.] How does KFM and movie fighting blend? [Andy & Justo] Obviously there is a big difference, but really it was quite easy for us as movie fighting is fiction and you can play around with it and come up with all kind of crazy scenarios. You need to train all the elements just like anybody else, like distance and timing, but that kind of goes without saying. You need to train all the elements. [ Q.] 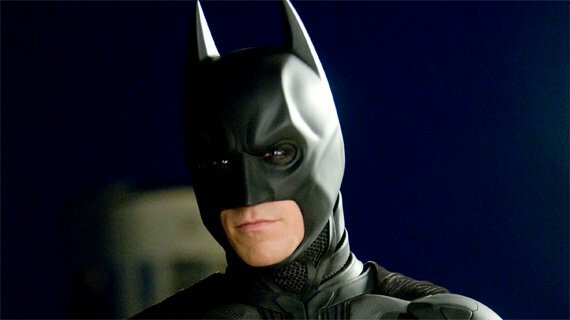 What was it like working with Christian Bale? 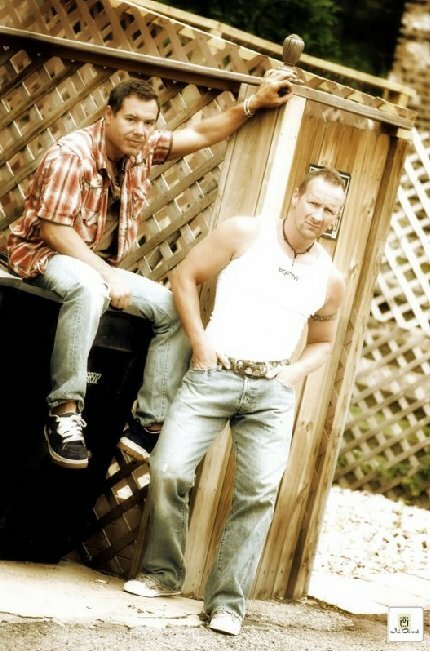 [Andy & Justo] Christian was great, the fact that he thought KFM rocked really helped. He was very keen to learn which made our job a real pleasure. He picked it up very quickly and in the end actually achieved quite a good level of understanding in KFM. Christian picked KFM up very quickly. [ Q.] We all know the importance of a sound nutritional program. How does yours differ from a bodybuilder? [Andy & Justo] Well, we actually have a bodybuilder who works for KFM in the technical support department, so we have good information and he keeps us on the straight and narrow. It's very difficult to maintain a constant rhythm with our crazy lifestyle, but he does a good job keeping us on our toes and when we slip he lets us know about it! [ Q.] Fighters need a good level of conditioning. What is a typical KFM workout for you guys? [Andy & Justo] It can vary quite a lot depending on what we are up to. Our weights and cardio program is similar to that of a bodybuilder who is starting to prep for a competition, but clearly we don't complete the process, we change direction around half way, increase the food a little and start to hammer the cardio a little more for the fitness and conditioning. Our program is very similar to that of a bodybuilder. On the KFM side of the training, this can be anything from 1 hour to 10 hours. Of course this is not all physical, we may be developing or investigating a problem or a specific area of study. [ Q.] Supplementation has become very popular. What do you guys use and why? [Andy & Justo] Well as you well know depending on what program we are following we will change our supplementation accordingly. We are sponsored by Nutritox at present, so we are using a lot of their products at the moment and we are getting along very well with them. [ Q.] What movies are you working on next? [Andy & Justo] KFM has formed two new companies in the last year, one of them is with Paul Jennings. Paul is one of the top stunt coordinators in Hollywood and has a long list of blockbuster films to his credit, such as Titanic, Batman Begins, Blood Diamond, The Dark Knight and many more. We are also involved with a big film at present but maybe we can tell you a little more about that on at a later date. [ Q.] If one of our readers wanted to get involved with KFM how would they do it? [Andy & Justo] I think the best way is to simply visit the KFM website. There you will find a list of instructors and cities that are actively teaching KFM. Also, we have a new online video store open where people can download training videos and study from home if there are no schools in the area. America is a new market for us and we have only just started to teach all the new instructors so it will probably take a few years before KFM is available everywhere.